Recently Paulette and Edmund Joseph entrusted the Society with the correspondence of their relative, the late Louis George Solomon who served in the Australian Army during the Second World War. He was a prisoner of war (POW) of the Japanese from the fall of Singapore in 1942 until the end of the War. The papers have been deposited with the Australian War Memorial’s private manuscripts collection. 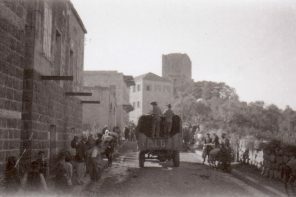 The collection is of five letters Solomon wrote to his family on his release in 1945 and four POW message cards posted home via the Red Cross while Louis Solomon was a prisoner, and three photographs. They are not a large collection of papers, but because of their interest to scholars of Australian military history and the history of Australian Lebanese, they are particularly valuable. Louis Solomon was the son of George and Ada Solomon. 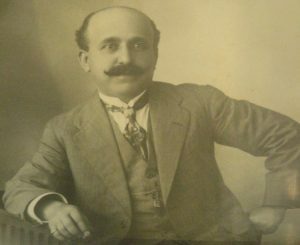 George Solomon who ran a small cotton manufacturing and retailing business at 20 Cooper Street Redfern. The building, from which a Lebanese confectionary business now operates is diagonally opposite St George’s Cathedral, still stands today. Louis was one of nine children. He had five sisters (Olga, Mary, Sadie, Ada and Betty) and three brothers (Nick, Jackie and Fred). It seems that his father had died by the time he enlisted in the Army in 1941. At the outbreak of World War Two Louis gave his mother as his next-of-kin. According to the AWM’s Nominal Roll of World War Two, Louis George Solomon was born in Sydney in 8th September 1914. He was living in Redfern when he enlisted in the Australian Army at Paddington on 11th June 1940 with the Regimental number of NX31540 and the rank of Private. Following training he was posted to the 8th Division’s 2/18th Battalion, A.I.F. The Battalion sailed for Singapore on 5th February 1941 aboard the Queen Mary. The Battalion saw heavy fighting including actions at the Nithsdale Estate (Jemaluang) on the Malaya peninsular and in the Battle of Singapore. It suffered heavy casualties and its strength at the surrender of Singapore to the Japanese was 22 officers and 227 other ranks, the unit having lost 350 men in action up until the surrender in February 1942. If life was tough on the battlefield, it became worse as captives of the Japanese in Changi Prison in Singapore. Poor and sparse rations, strict arbitrary discipline, and harsh working details made the time a brutal experience for the 22,000 Australians who had to endure it. Still, Solomon had one piece of luck he acknowledged in his the letters to his family. He was not selected for work on the construction of the Burma Railway – that dehumanising project which was even more deadly than the “normal” Changi work details. When freed from prison, Louis Solomon and his colleagues spent a few weeks recuperating in Singapore before being assigned a berth of the ship Arawa and being repatriated to Australia. 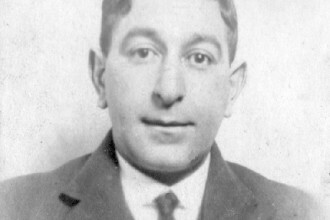 Although Louis was able to post four POW cards to his family and had received a number of letters via the Red Cross whilst a POW, and had posted five letters to his family on release, by the time he was liberated, his family was under the impression that he had been listed as “missing”. They feared the worst: he had succumbed to the harsh conditions as a POW and died. They were very pleasantly surprised to see his name listed as one of the returning POWs. Apparently he would arrive in Sydney at about the same time as the five post-release letters he had written! 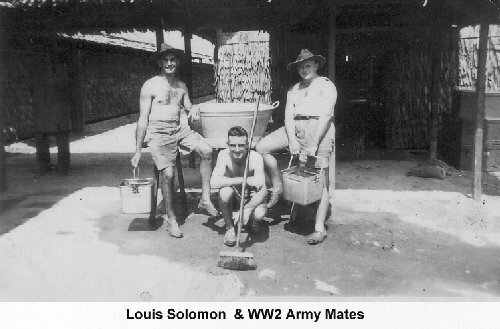 Louis Solomon was discharged from the Army on 11 January 1946. Once back in civilian life he attempted to find place for himself in the community. He married a girl he’d met in Redfern, Sadie Sissean, whose family came from Temora in NSW and set about looking for a way of finding a niche in business. For a while he ran a grocery store in Elizabeth Street, Redfern, worked as penciller for a racing bookmaker, and was wharf labourer. Sadly he had a sudden stroke and dropped dead aged only 45 in 1959. His family felt the deprivations of being a POW contributed greatly to his demise. A number of themes emerge from the letters. Is his language a little formal, influenced perhaps by his pre-Second World War education? He also seems to be hoping for bright times, a return to old times; a plea of “will you still accept me?” There is also a sense that he feels older and having lost part of his life. For instance, he mentions coming across Australian soldiers who had come to liberate the POWs and among them finding people he knew as children in Redfern, now adult. Has he been left behind? 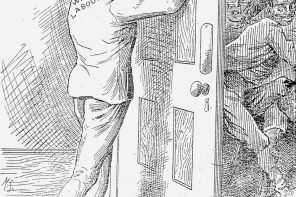 There is also clearly a sense of great bitterness about how he and his colleagues were treated by his erstwhile captors but “the least said about them the better”. These must have been the emotions of many of his colleagues. In the letters he also worries about what became of friends he was with when captured but with whom he lost contact. In one letter he mentions loosing contact with a friend called Vince. 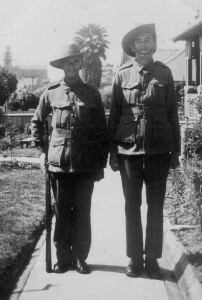 This may have been the same Vince with whom he had his photo taken with in a pre-capture army bivouac. It is not known whether his friends survived or if Louis was able to meet them again. Like a lot of returned servicemen who endured hard times, Louis avoided talking about the War or his wartime experiences. They were felt to be too painful and best left behind in favour of a new beginning. After all 7,964 of the 22,000 Australian POWs of the Japanese died in captivity. The messages on the POW cards say much less. Each prisoner was only allowed 20 words on each card and they were only allowed to discuss personal family matters. The opportunity to send these cards was very rare. Since they were subject to strict Japanese censorship, each message had to be brief and the writers extremely careful about what was said. Fred Solomon, who worked as an accountant in Sydney, ended up flying warplanes in Canada during World War Two. He does not appear in the AWM’s database, but the family has a photograph of him wearing a Canadian Air Force Uniform. He may have been part of the Empire Pilot Training Scheme, which was based in Canada and trained personnel as pilots for combat duty in Europe. At some stage near the end of World War Two, fate cruelly struck Fred Solomon when he was attacked by a mugger in Montreal and died as a result of injuries he received. Nicholas also served in the Australian Army. None of the Solomon siblings had their own children and so the letters, POW cards and three photographs found their way to his relative, Paulette Joseph nee Saroff. These are reproduced here to remember Louis Solomon, one of the many who valiantly served their country in combat and under appalling conditions as Prisoners of War. Paulette has supplemented them with a number of photographs from her own collection. Unfortunately we do not know what became of the letters Louis’ family posted to him via the Red Cross while he was incarcerated in Changi. Ever so pleased to avail myself of this opportunity, after so long to write a good deal more than I was able to in the past 3½ years. Have received several of your letters that last having contained that beautiful snap of you and Fred and believe me you cannot realize my feeling on receipt of same, which was last May. Unfortunately, your letters were limited but from now on lets hope you’ll be able to let me know more about you all at home besides other items of interest. Well after so much of a start to this chance of writing so much, which as I have said have been awaiting for so long, you will be ever so pleased to hear I am keeping exceptionally good health, hoping all at home are the same. Your feelings at the announcement of the conclusion of the war I feel sure were centred on us as to our well being, but believe me our thoughts were always of you at home. Hoping you were all keeping well and safe from any danger? Now what we have waited for so long has occurred, day by day I am looking forward to getting home to you all so we can make up what we have lost by being caged up enduring a life of hardship and misery. Of course as you know these letters are subjected to censorship one has be discreet but I feel sure a true story has by now been revealed to the outside world as to the treatment our lads received at the hands of a barbaric and cannibalistic race, the least said about it the least your worries should be. Hoping you received this letter together with the one I have marked 1. As you will notice by the date I am considering it a glorious birthday gift to be able to write home but the celebrations are to come in the near future and believe me they are going to be “bonanzas”. As anxious as you are I feel sure you’ll have some very exciting and interesting news for me. Well that snap of you and Freddy certainly took my wind from me, Mum! You certainly looked well and I thought it was Nicholas with you until I looked at back of snap a victory over me Fred, good lad. Now Jake! There are certain favour I require of you, I want you to keep me tabbed with the racy world if and when as soon as possible send me charts and fields of coming big events to be held e.g. Epsom Metrop & Cups. I intend to have a go at them bro. if there’s a chance, if I do not hear from you before I write again I will tell you exactly what I want. Hope your soldiering life has been a pleasant occupation and you quite enjoyed it. Freddy I expect to be hot number on piano besides holding excellent credentials with his accounting career. Sisters Olga, Mary, Sadie, Ada and Betty what only you have in store for me goodness knows, you’ll let me in the secrets won’t you? Good girls. Nick, I am sure you’ve looked after Mum, good lad, hoping you are meeting with great success in you profession. Mum, if only you knew how I’ve longed to have had meal cooked by you, you know my favourite dishes don’t you? Well it shan’t be long before you can give me some (I have almost forgotten then names) kobby etc. Now to close with regards and love to all not forgetting old Auntie, Pauline and family. Lots of love and kisses to Mum & all at home. This being the third letter I have written since our release, hoping you received them all safely and speedily. Continue to keep good health, as from today we have practically eliminated rice from our diet and are now on a specially prepared Army ration, so should not have any trouble in arriving back home in fine fettle. Do hope all at home are well and when reply by all means tell me of the interesting things you have in store for me. Yesterday had a trip into Singapore Town and around its waters quite enjoyed the day’s outing, and believed me being free again is sure a glorious feeling. One of the most pleasing incidents of the day was witnessing our former captors being worked around the wharves and town, a very small compensation to the humiliation we had endured during our term of imprisonment but I feel sure they will pay dearly before they are finished with. The Red Cross Organisation have been doing a marvellous work in cheering everyone up with comforts and other necessities, a grand show, now we are only awaiting the day for our evacuation back home which we hope should not be long. Sources have we may return by planes, well I ask you, what an experience. There are still a few items I did not mention in my earlier letter but will do so in the course of future writing. Had a bout of malaria earlier in the year but a spell of 28 days soon restored me to normal condition. My weight having see-sawed between 10 and 10 ½ store until the last month when I tipped 11 stone, should not be long before back to normal, have not felt any worse by being down, beer I hope will do the trick. Well I hope to receive a letter from you soon, which I am anxiously awaiting so I will close with regards to all my friends. Love and kisses to Mum and all at home. Have not received any mail from you since our release, hoping you all are well and keeping good health as this letter leaves me in fine fettle. Am now in our second camp since the release both places having been confinements while our boys were under the Japs, the gaol in particular being a very depressing place of abode, still we are quite happy and food in quite good as our repatriation lads out here have taken over are doing a grand job. Amongst the lad I struck young George Toms (whom Jackie knows well) and he had given me a terrific amount of interesting news about you folk at home. He is quite a nice lad and he had my memory fully extended trying to recall to mind some of the younger lands and girls around Redfern. And believed me, I was feeling about fifty years of age after he had told me of the marrying of quite a lot who were (in the sense) only children when I left home. Believe me I am going to be stumped on seeing you all after so long an absence as he himself was only a “whipper” when I left. Had Tom Faunt out here looking me up, but I was not home and went down to his boat yesterday (and what a lad he is now!) gave me and my three friends a grand time, K. B. Lager and a glorious meal. He was only hoping we would be making the voyage back with him but unfortunately we are going on the Arawa, and tomorrow is the big day we go on board so it should not be long before I am home with you all once again. I’ve had an exceptionally good time since our release having visited several of the ships in the harbour and being well treated by all. This being a rushed letter please excuse any errors etc.. So till you hear from me again which will be from the boat. Your loving Son & Bro. I take this opportunity of dropping a few lines to let you know how we are progressing on our voyage home. So far the trip has been excellent in every respect. We expect to arrive at Darwin on Thursday evening, so it should not be long before we hit old Sydney Town. According to reports, our stay, whether in port or out stream, at Darwin, may be delayed due to taking on fuel and supplies, also awaiting on other transports which are a day or so behind us, the intention being for the whole “divvy” to arrive in Sydney on the same day. Life on board has been very quiet and we are all appreciating in extremely, relaxing with a book, or sleeping out on the open decks with a beautiful sea breeze sweeping across your body and believe me it a grand life. So far have not received any of you recent mail but may expect some at Darwin. Food has been of quite a good standard, receiving ½ bottle of beer per day and smokes are plentiful. So one cannot wish for anything more just at present. There does not seem to be much more to let you know as it should not be long before I am able to get all your news first hand and let you know what I haven’t so far told you, so I can see some long sittings in the lounge ahead of me, and what a pleasant feeling it is going to be “home sweet home”. Will write again after leaving Darwin so as to let you know when we expect to arrive in Sydney, does not seem to be necessary as I understand a public holiday is being declared so you will probably know before my letter reaches you. So until I write again, lot of love to Mum and all. Regards to all my friends. Your loving son and Bro. Don’t forget bro, a bottle or two on the refrig! That’s the style lad. Lou.